One of my favorite songs on the oh-so-mellow album "Ho'oluana " is "Mehameha/White Sandy Beach ," which is a medley of two classic Hawaiian songs, including one immortalized by the late great Kui Lee. 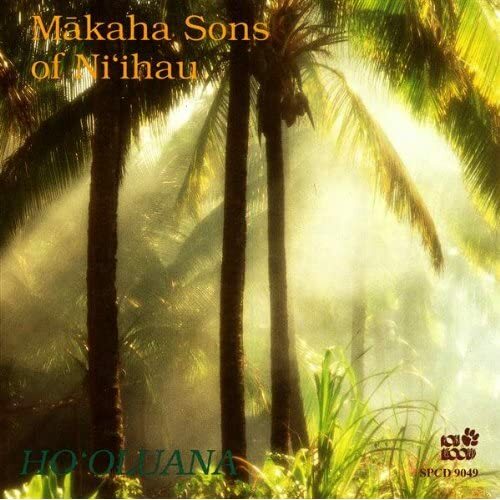 But on this album, the late great Israel Kamakawiwo'ole and the rest of the Makaha Sons of Ni'ihau really save the best for last — their excellent rendition of another Kui Lee classic, "I'll Remember You ." Sample more of IZ's musical legacy here. One of my favorite album covers.